Evans and co-driver Daniel Barritt came tantalisingly close to achieving their aim of making it through all 24 stages unscathed. Having never contested a full-snow rally with Michelin’s studded tyres, the Welshman made the most of his debut – learning the rally and developing his skills as he went. Building knowledge and confidence with each stage, Evans’ focussed on seconds per kilometre as opposed to an overall result and it was encouraging to see that his pace improved throughout the weekend – showcasing his speed with the occasional split to challenge the front-runners. Regrettably, his hard work was to go unrewarded on the final speed test. Sliding wide in the treacherous conditions, his Fiesta RS WRC hit one of the predatory snow banks. With damage to the radiator there was no hope of making it back to service and the Welshman was forced to make an untimely retirement. Regardless of the outcome, Evans has secured a wealth of experience in what were far from ideal Rally Sweden conditions – a fact which sets him up nicely for another new challenge when he crosses the Atlantic for Rally Mexico in three weeks’ time. “We were achieving what we wanted from the event – improving the pace and on course for what would have been a good result for us – so it is really disappointing that it had to finish the way that it did. “We were going into a corner that tightened, but unfortunately I didn’t have that marked in the notes. It wasn’t a very high-speed incident by all means, but the back end stepped out and after that there wasn’t a lot we could do to save it. We went off the road and damaged the radiator. “It is great to see Mikko [Hirvonen] getting a solid result after the disappointment of Monte-Carlo. It was also good to see his pace getting back to what we are used to seeing from him and the extra point in the Power Stage shows that he still has it in him. He’s got a strong platform to build on now as we head into the gravel events. Ott Tänak put in a sensational performance on his return to the FIA World Rally Championship. Having last contested the snow-covered stages of Rally Sweden in 2012, the Estonian finished the event in fifth place having challenged the front runner through the early phases and claimed a stage win through the second pass of Kirkenær (SS5). Also making a return to the championship following a year’s hiatus, Henning Solberg was back to his best. Entertaining the crowds throughout the weekend, the Norwegian secured an impressive stage win through SS11 to finish the event in a well-deserved seventh place. 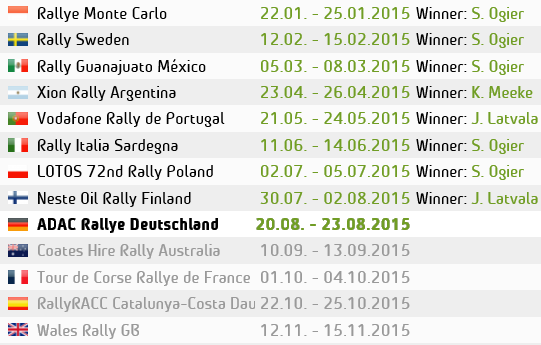 Pontus Tidemand finished what is only his second outing in the Fiesta RS WRC in eighth place. The young Swede struggled to find the optimum set-up for the challenging conditions. But growing in confidence, the youngster was happy with the experience gained and did Sweden proud as the only home driver to take to the wheel of a world rally car. “Ott [Tänak] has had a really strong rally. To come back after 12 months away and be challenging with the guys who have so much more recent experience is fantastic and a great way for him to burst back onto the WRC scene. 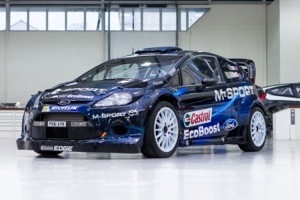 He has at least two more events in a world rally car so I’m really looking forward to seeing what more he can do. “It’s always a pleasure to have Henning [Solberg] back in the team. He’s also put in an impressive performance with 12 months away from the sport. He’s challenged the best here this weekend, and I just hope that he can get the budget together to do some more rallies with us. There was another clean sweep of the podium for M-Sport in the WRC 2 category today. M-Sport Fiestas dominated the FIA World Rally Championship’s premier support series with a range of cars occupying the top-six positions. The close fought battle went down to the wire, with Karl Kruuda stealing victory behind the wheel of his Ford Fiesta S2000 by a slender 2.3 seconds on the final stage. Jari Ketoma’s Ford Fiesta R5 finished second with local-boy Fredrik Åhlin securing the third step of the podium in a similar Fiesta R5. Having led much of the event at the wheel of his Ford Fiesta RRC, Yazeed Al Rajhi had to settle for fourth with the Fiesta R5s of Yurri Protasov and Lorenzo Bertelli in fifth and sixth places respectively.